Technology changes rapidly and with a new year comes new technological possibilities and changes in the manufacturing sector. While the uncertainty of Brexit is still looming – with many manufacturers unsure of what will happen to the free movement of people and products after March of this year – the current budget aims to strengthen the UK’s commitment to scientific research and development, which is good news for manufacturing. With billions set aside for the development and support of future technologies, such as the Internet of Things (IoT) and virtual reality, what does 2019 have in store for the manufacturing industry and manufacturers? UK manufacturing contributes £6.7 trillion to the global economy and currently accounts for 8% of all jobs in the country. Countries in mainland Europe are hesitant to source components and materials from the UK, because they fear supply chains will fail, should Brexit result in a disorganised exit. These fears led growth in the industry to hit a 25-month low in August of 2018. Business advisers BDO LLP conducted research which showed that a lack of clarity in trading relationships caused confidence within the sector to plummet. Just like Dean Group, many companies and individuals were asking themselves whether to invest or to wait until after Brexit when things would be clearer. In December 2018, UK manufacturing growth improved to a six-month high due to 83% of businesses building up their inventories and boosting orders ahead of the possibility of a no-deal Brexit. However, these Brexit preparations aren’t enough to keep up this growth. The UK is the ninth largest industrial nation in the world and our positioning is reinforced by our trading relationships with the EU. After all, manufacturing accounts for 45% of all UK exports and, in the twelve months leading to April 2016, 52% of total manufactured exports went to the European Union. A hard Brexit, therefore, wouldn’t support the industry’s trade and growth ambitions. 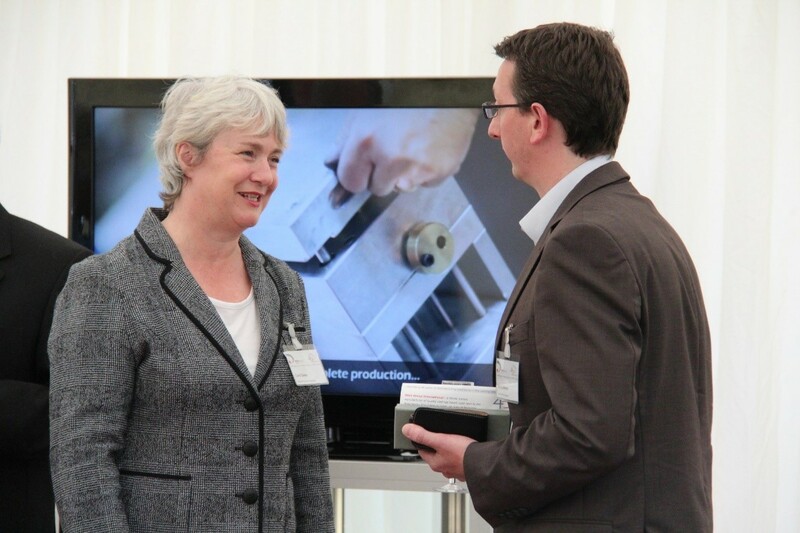 At Dean Group, the majority of our customers are in UK. Although the direct impact could be less damaging, the full effect, especially in the case of a no-deal Brexit, is still unknown. We are noticing a delay in the project decision-making process, with companies waiting to see how Brexit will play out. While many issues will be out of our control, we’ve been working on improving our capabilities and efficiencies in our operation. Dean Group’s goal is to become more resilient to negative changes, and it’s important that we are able to act quickly and decisively when opportunities arise. We’re working closely with all of our customers to understand the true effect of Brexit and react quickly to avoid any major impact to all parties involved. UK manufacturers are facing the biggest worker shortage in three decades. Job vacancies are becoming more difficult to fill, due to a falling interest among EU nationals to work in the UK; Brexit is blamed for this, with 81% of manufacturers reporting these difficulties. There is also a clear skills shortage in the industry, so investing in people has never been more important. And, with the expansion of the Industry 4.0 and an increase in connected devices, it’s crucial that everyone possesses the right skills. Digitalisation is the future, but it can’t be implemented without people; this year, manufacturers should consider investing more in the workforce of the future through digital training. Be it workshops or university courses, learning more about engineering and robotics will be desirable in the next few years. Dean Group have taken this to heart and want to help address the current lack of skills in manufacturing. 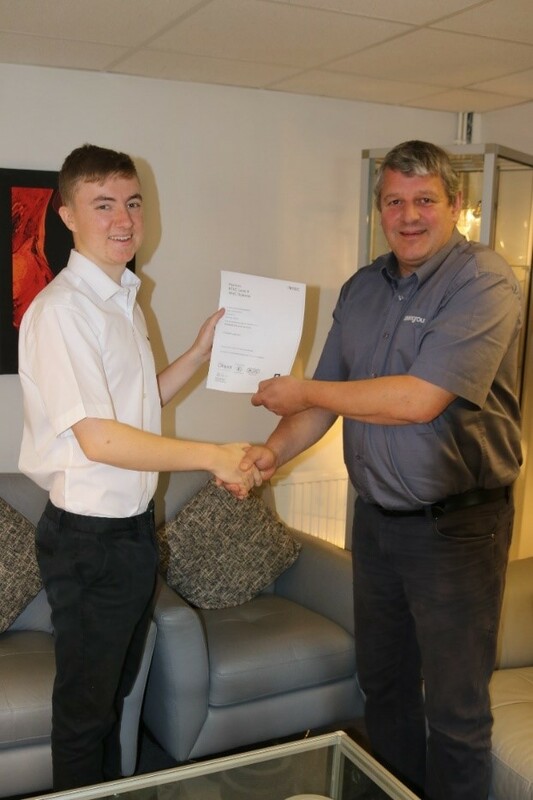 We’ve invested in an apprenticeship scheme that saw two of our employees, Sam Dean and Jack Hutchinson, complete a three-year Engineering apprenticeship. 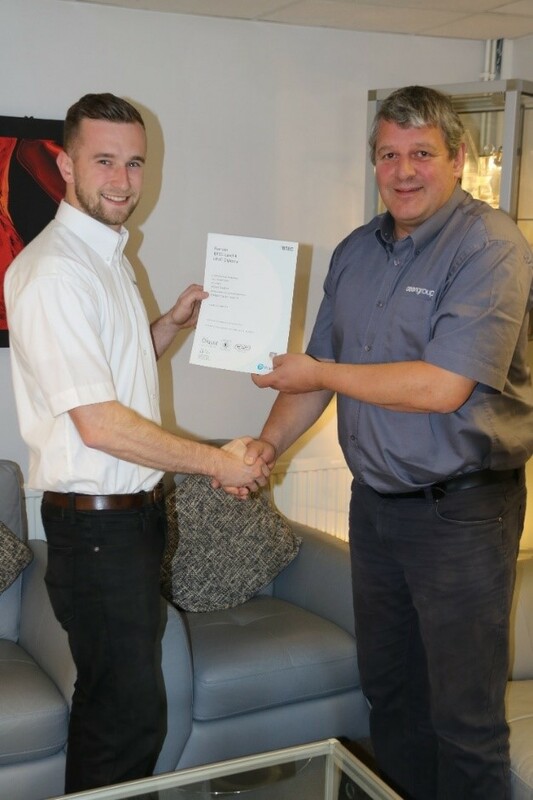 This consisted of in-house training at Dean Group and an academic qualification. We believe it’s extremely important to address the skills shortage within the manufacturing industry, and we plan to carry on investing in apprenticeship schemes in the future. As companies become more digital and connected, cyber threats will become a risk, as well. In 2019, we’ll likely see manufacturers spend more on technology designed to prevent hackers from accessing or damaging their data. However, it’s important for these manufacturers to still be able to innovate and produce. A balance between this and the need for security is therefore important. Blockchain is a relatively recent technology that many believe will play a more relevant role in 2019, especially in business and manufacturing. It refers to a database stored in several locations, capable of maintaining growing records or blocks that are timestamped and linked to previous blocks in a permanent way that can’t be undone. This allows for safer data recording that can’t be altered by cybercriminals. This technology may very well be the answer to safer supply chains, since they work across organisations and countries. Blockchain could potentially create smarter supply chains by tracking the journey of materials, parts or products through a trail with real-time visibility. Dean Group are also very security conscious and take cybersecurity seriously. First of all, we are totally compliant with GDPR, so your data is safe with us. We also work on a large variety of projects, including ones where we handle confidential information, so we’re aware of just how important this issue is. In addition, our CRM is robust and secure, so you can have peace of mind, knowing that your information is in safe hands. Another year came to an end and we’re happy to welcome 2019 with open arms. Manufacturers will be looking to increase their efficiency and output this year, in order to keep up with increasing consumer demand, and the trends we see emerging and developing will help in this regard. 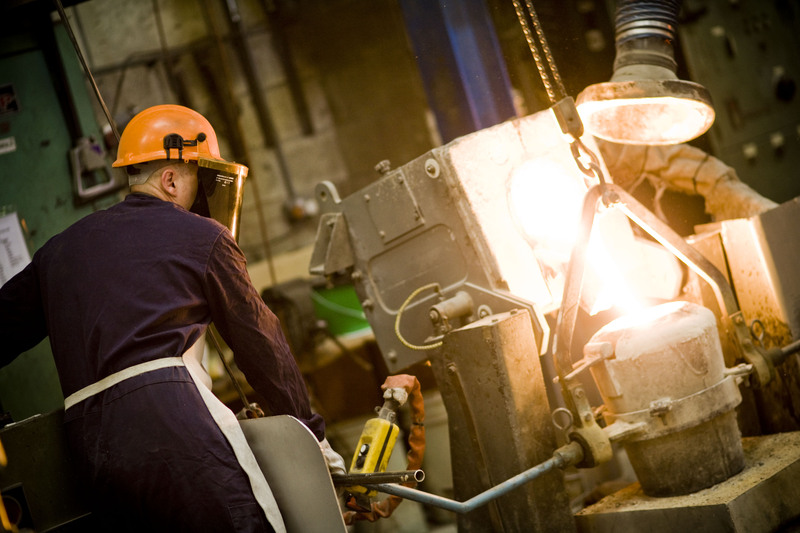 As an investment casting company, we’re confident that this new year will be positive for manufacturing as a whole and for businesses, despite the uncertainty of Brexit.